Beauty Candy? 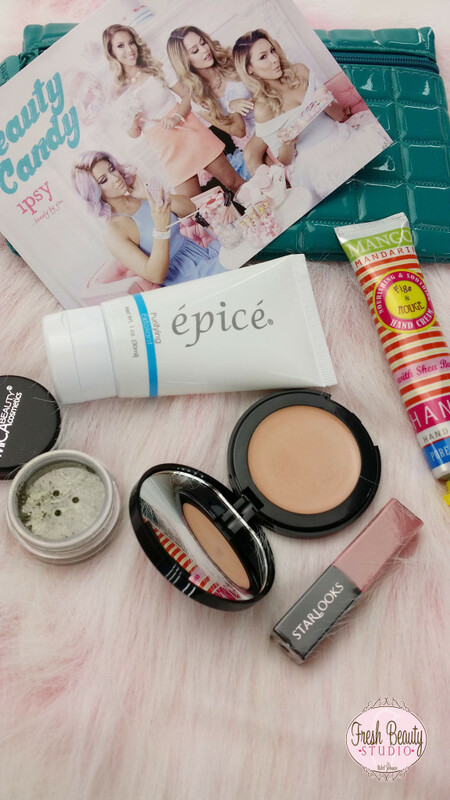 What’s in My Ipsy October Bag? One of my favorite times of the month is when I get my fabulous beauty subscription deliveries. This months My Ipsy October Bag does not disappoint. Themed as “Beauty Candy” it features products that smell like cake are shimmery and absolutely delish. 1. Starlooks lip gloss in “Guilty Pleasure”- Even though this lip gloss is mini it’s smells like cake and is an everyday wearable lip color. 2. Doll 10– face highlighter in “Champagne” Ultra creamy and full of gleaming sheen, You will for sure be seeing this product in my upcoming beauty videos. 4. MICA Beauty Cosmetics– Mineral Shimmer Eye Shadow in “Reluctance” gorgeous green/gold eye shadow color. 5. Epice- Purifying Exfoliant created by Dr. Michael Spicer. Perfection Dermagraphics liked this on Facebook. Robin Rothbard Pels liked this on Facebook.